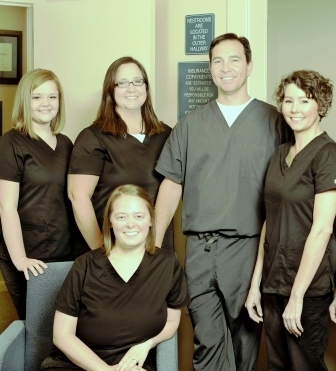 Our mission is to provide you with the finest endodontic treatment available anywhere. We are devoted to the diagnosis and treatment of tooth problems via root canal therapy. We want to help patients reach the highest level of oral health possible so they may enjoy the benefits of a functional, attractive smile. We pride ourselves on our thorough patient education, gentle treatment methods, well-trained staff, and quality patient care. We work in partnership with other dentists in the community to help ensure comprehensive treatment for our patients. I have had 2 visits to Dr Blanscet, and having been to 3 previous endodontists, I must say that both have been the most comfortable, relatively painless experiences I have had, with one visit being to repair a botched root canal under a bridge. I will continue to recommend this clinic to all of my friends! Thank you so much for a professional and painless first time experience. I was so nervous but you and your nurse made that go away. Be blessed! After weeks of pain following a crown placement on my molar, I saw Dr. Blanscet. The root canal was painless! The staff was friendly and they worked my appointment in quickly!! Plus the Dr. called to check on me that evening! Thank you!! I am a "chicken" when it comes to going to the dentist. Dr. Blanscet and his nurse were very good to me.